Romania increased its defense spending to 2 percent of GDP in 2017 and major US and Western European military contractors have engaged in a fierce battle over multi-billion contracts, aiming to strengthen a weak link on the eastern fringe of NATO. Romania is militarily weak, experts say, as it has not invested enough to boost its defense capacities since the fall of the Communist regime. But the situation is about to change, as a consequence of both the rising external threat, following the annexation of Crimea by Russia, and of NATO’s pressure on its members to increase defense spending. These external factors, combined with rapidly growing GDP and total budget in Romania, have allowed Bucharest to boost its military spending in order to modernize its outdated ground, sea and air military forces. The political consensus to increase military spending to 2 percent of GDP from 2017, from roughly 1.4 percent over the previous years, has had a rapid effect. According to the Stockholm International Peace Research Institute (SIPRI), Romania’s military spending rose by 50 percent last year compared with 2016, to USD 4 billion, the biggest increase in the world, due to modernization and expansion plans for 2017–26. “While Poland was by far the largest military spender in Central Europe in 2017, accounting for 42 percent of the subregional total, Romania made the largest relative increase: its military expenditure rose by 50 percent, the highest rate of increase in the world between 2016 and 2017 (…). This sharp rise was due to Romania starting to implement its military procurement, modernization and expansion plan for 2017-26,” the report said. The increase was driven “by the perceived threat from Russia felt by many countries in Central Europe”, according to SIPRI’s experts. This sharp increase in the military budget is a consequence of the rising costs of technology-based military equipment over the last few decades. 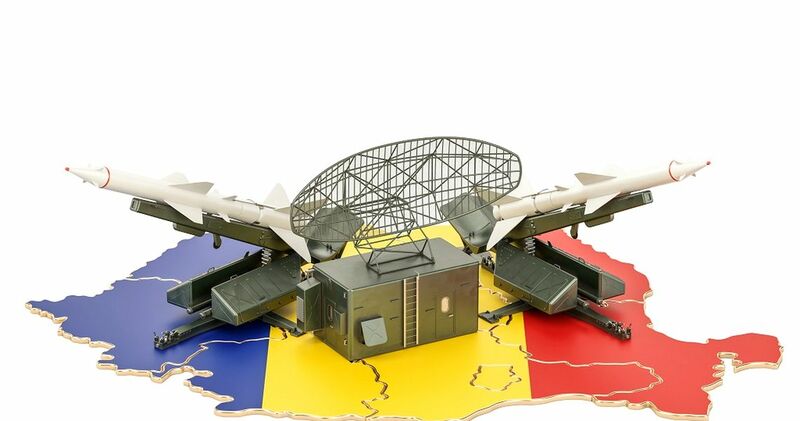 Advanced industrialized nations like the US, Western European powers, and even Russia and China can afford to spend billions each year in order to keep up with the latest military technology, but for small players like Romania it is difficult to bear the costs. Despite the sharp increase in its military budget in 2017, Romania’s total defense budget represents less than 0.5 percent of NATO’s military spending. Official data show that the total military spending of all 29 NATO members, including Romania, was USD 900 billion – out of which around two thirds are covered by the US – in 2017, accounting for 52 percent of world expenditure. And Romania’s need for military equipment is huge: its military procurement, modernization and expansion plan for 2017-2026 includes eight major projects, worth more than EUR 100 million each. Romania’s main procurement and modernization projects are: the acquisition of four multifunctional corvettes, rocket launcher mobile systems, the modernization of MLI 84 M combat machines, 8×8 and 4×4 armored carriers, C4I systems, ASAM large-scale rocket systems, short and very short range air defense (SHORAD/VSHORAD) systems and a multiple missile launcher. Other important projects include the expansion of the fighter plane fleet (from currently 12 F-16’s to at least 48), the acquisition of combat and utility helicopters, the upgrade of the training plane fleet (IAR 99 Soim), the modernization of the two British frigates (Regele Ferdinand and Regina Maria), the acquisition of military trucks and the beginning of a small submarine fleet programme. All these programmes are costly, and Bucharest has already begun to launch its major military projects. With virtually no defense against missile and naval threats along the Black Sea, Romania’s government has signed several important military contracts during the last year, notably for Patriot and HIMARS rocket systems and Piranha 5 military vehicles. All these contracts were granted directly to US military contractors: Raytheon (Patriot), Lockheed Martin (HIMARS) and General Dynamics (Piranha 5), and the reason was not necessarily the quality of the equipment. “In this type of military contract, it’s not about real competition; other factors are more important. It’s about security guarantees, and the United States is in a leading position in Eastern Europe from this point of view, because it is considered the only reliable security partner in the face of the threat from Russia,” a source familiar with the defense sector told Business Review. Moreover, last year Bucharest established close ties with US helicopter producer Bell, which is eyeing an order for 45 attack helicopters (24 AH-1Z Viper) – previously not Romania’s priority – and tactical transport (21 UH-1Y Venom). This possible contract could harm Romania’s decades-long relationship with France’s Airbus, which built a new factory in Ghimbav (near Brasov), 180 km north of Bucharest. This assembly line was designed for a production capacity of 15 aircraft per year, but Airbus Helicopters is waiting for orders from Romania’s Ministry of Defense or Ministry of Internal Affairs to start producing its latest H215 model. With this assembly line, Romania would have entered the small circle of countries that have mastered the manufacture of a helicopter (France, the US, Russia, China, Italy, India and the UK). 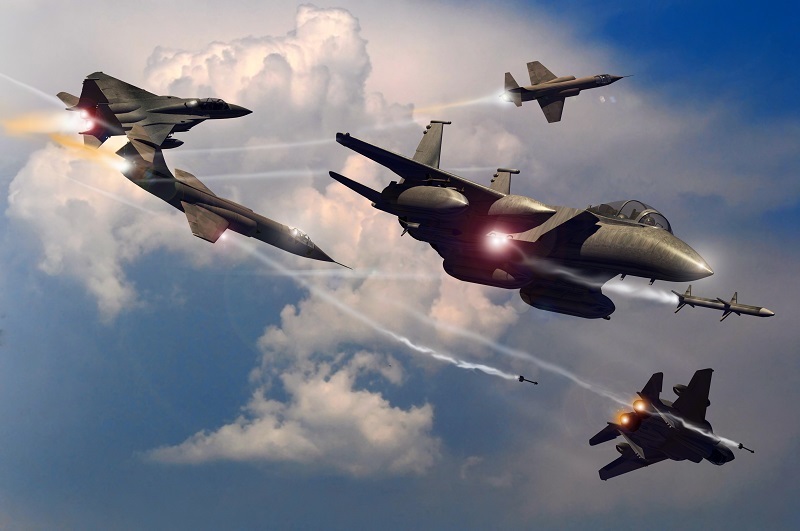 Without the possibility to offer state-backed security guarantees in the US style, European military contractors are offering better technology and production options; they generally agree to locally produce a large part of the equipment and offer technology transfers. This is the case not only for Airbus, but also for the French-British group MBDA, which lost the competition with Raytheon for long-range missile systems, but is still eying contracts for coastal defense and SHORAD/VSHORAD systems. MBDA is offering Romania a technology transfer and part of the production at a Ploiesti factory, but it has still struggled to win a contract. Another major European defense group, Germany’s Rheinmetall, is hoping to land contracts for 8×8 military vehicles and military trucks in Romania, offering technology transfer and local production. But for the European defense groups, the best chance to win a contract seems to be the EUR 1.6 billion four multifunctional corvettes project. Sources from the defense sector told Business Review that four companies, all European, are competing for the contract: Damen (the Netherlands), Fincantieri (Italy), Naval Group (France) and TKMS (Germany). Romania’s government has already decided that the four corvettes will be built at the Mangalia shipyard by the wining competitor. 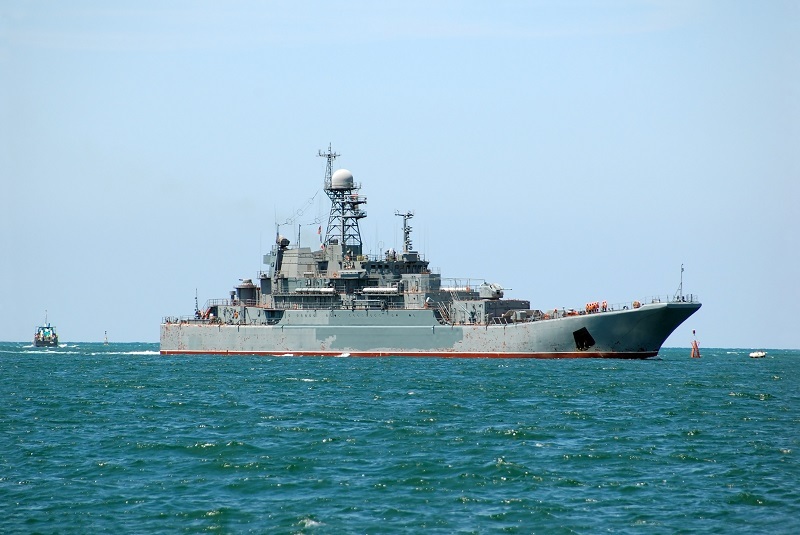 For Romania, buying naval vessels is part of a larger NATO strategy to block a very real Russian naval buildup in the Black Sea. And Russia has its reasons to be very active in this part of Europe. The US has two military bases in Romania: the land-based Aegis BMD facility in Deveselu (southern Romania) and the Kogalniceanu airbase (eastern Romania, near the Black Sea). For Romania, being caught between rival empires is not a new situation. “The problem that Romania has is that the world cares about it. More precisely, empires collide where Romania is. (…) Romania’s problem was that it was part of Europe, a weak power surrounded by stronger ones,” geopolitical analyst George Friedman wrote in his article “Borderlands. A Geopolitical Journey in Eurasia” published by Stratfor. Experts point out that Romania is key for America’s interest in the region and this could be a source of tension with its European allies. “The Romanians still remain focused on the EU as their economic guide, and the US still expects allies to behave as it does – or pretends it does. There is inevitable friction, but in coming here I realized two things: the centrality of Romania to American interests and the fact that most Americans are not even clear where Romania is, much less that it has become a critical ally,” Friedman wrote in the article “Journey to Europe: Visiting Romania”, published by geopoliticafutures.com. Romania’s alliance with the US, inside or outside NATO, and the need to strengthen its army is mainly a consequence of the perceived threat from Russia. “Reality creates policies. Policies don’t create reality. So in the end, it doesn’t matter that the Romanians are focused on the EU and that Americans are not at all focused on Romania. The reality of Russia defines this relationship,” Friedman added. For Romania, boosting military expenditure is also an opportunity to prove that it is a reliable ally in a complex security environment. Some experts remember that Romania, unlike Poland, historically preferred to throw in its lot with the prevailing empire in the region. “Romania is oriented toward the European Union but is one of the many countries in the union that may not really belong there. Unlike the Poles, for whom history and resistance are a tradition, the Romanians accommodate themselves to the prevailing winds. It will be good to find out where they feel the winds are blowing from right now,” Friedman wrote in his article “Geopolitical Journey, Part 2: Borderlands” published in 2014 by Stratfor. Strategically, Romania is interested in keeping the Republic of Moldova free from Russia’s influence in order to avoid becoming again, like before World War II, the first line of defense against the Eastern threat. However, Romania’s accession to the EU and NATO has helped the country to modernize and develop, and this reality of a borderland between East and West seems obvious to many Western visitors. “When I returned to Romania from Moldova in the spring of 2014, I wanted to kiss the ground. From the vantage point of Moldova, a former Soviet republic never a member of the European Union, Romania unambiguously signified the West, complete with NATO membership and institutions slowly becoming more transparent, thanks to the institutions of the EU,” the international bestselling author Robert Kaplan noted in his book In Europe’s Shadow. Two Cold Wars and a Thirty-Year Journey through Romania and Beyond.